This label is 1" in Diameter, 63 per sheet. Standard White Laser and/or Inkjet Permanent Adhesive Label Stock. Great for Putting Dates, Numbers or other small amounts of data. A common use is to use date and color to marking Counted Inventory. You'll find lots of uses for our 1" Circular (round stickers) self adhesive labels! All standard white labels print with Laser or Inkjet Printers. 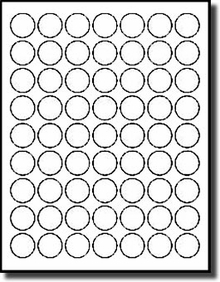 There are 63 round labels per 8-1/2" x 11" sheet for a total of 1,260 labels per package. 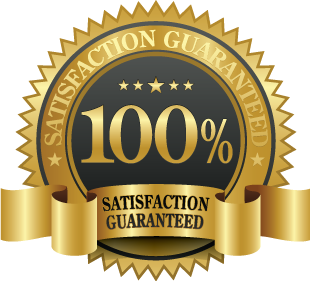 Like all our products, these 1" circular stickers are fully guaranteed to meet your complete satisfaction! A "word" about MS/Word Templates. On labels this small, Word templates, combined with Laser and Inkjet printers can NOT produce precise results. Only with more sophisticated software are results near perfect. 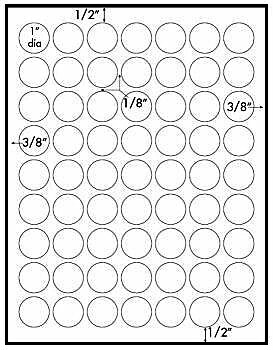 Download the template, and experiment on paper if you are unsure.The template only provides the spacing for the rectangle which contains the circle--it does not provide for circular printing. Always receive shipment in a timely manner and labels work perfectly well, great condition and they stick well to surfaces. Have bought them for the past 2 years will continue to do so.